A former Solihull College & University Centre Media student has appeared on Channel 4 show ‘The Undateables’ on the search for love. The Channel 4 documentary series contacted Alex Manners, 22, who has Asperger’s – a form of autism, after researching his work in the media since college. ‘I’m confident in everything, but put the word ‘date’ in front of it and it scares me.’ Alex admits. ‘There were a lot of positives when I thought about it – it highlighted and raised awareness for Asperger’s which I’m always an advocate of’. Most of the episode was filmed last Summer, with the date itself being filmed 3 weeks before the show aired. The episode followed Alex in his day to day life and filmed at his house and his various jobs including at the Solihull Moors ground where Alex assists the club with autism projects. Alex’s date was Rebecca who also has Asperger’s. 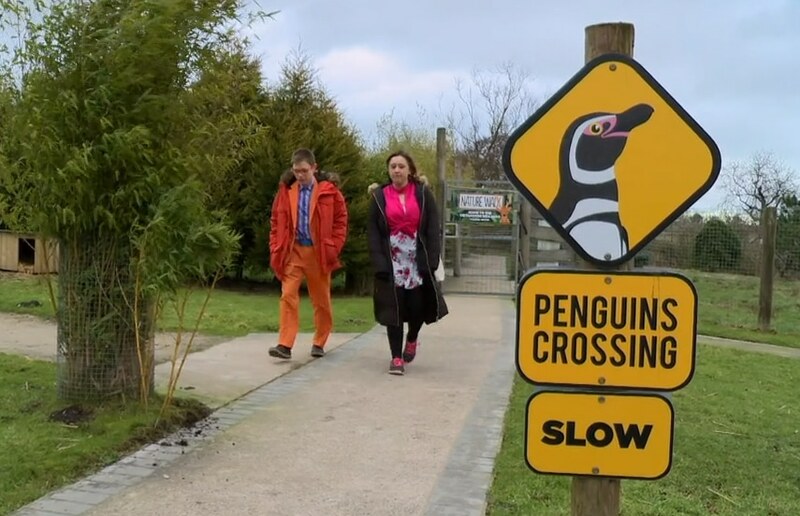 The duo met at Peek Wildlife Park in Leek. ‘It was my first ever date’ Alex reveals. ‘We got on really well, we really had so much in common’. Alex loves bright clothing and was thrilled to discover Rebecca felt similarly and was dressed in a flowery ensemble. Alex and Rebecca got along extremely well and Alex is really looking forward to seeing what the future holds. Heading to London two weeks before the episode aired, Alex was treated to a private screening and was relieved to find he enjoyed the episode. The show aired on the 13th March and was a positive experience for the Solihull local. After his television appearance, Alex’s next move is to finally complete his attempt to watch a football match at all 92 football league grounds. He is up to 89 grounds and is hoping to finish his 92nd at Scunthorpe next month. Alex is kept busy with his show on Solihull Radio which airs every Sunday, 8am-10am. He has also just written his first book ‘That’s Not Right! My life Living with Asperger’s’ which will be released on 22nd April. To find out more about media courses at Solihull College & University Centre please visit www.solihull.ac.uk. To watch Alex and Rebecca’s date you can access the latest episode at Channel 4’s catch up website.